“Ms. Riha is a powerful advocate for both her students and her community, and an inspiring example of an educator making a positive difference in the lives of students,” Alaska Education Commissioner Michael Johnson said in a statement. Riha started teaching in rural Alaska. She worked as substitute teacher in Unalaska before enrolling at the University of Alaska Anchorage to earn her teaching degree, she said. Riha spent the next seven years teaching in the Bristol Bay communities of Togiak and New Stuyahok. She moved to Anchorage in 2008 to help open the Alaska Native Cultural Charter School, which enrolls about 300 students in pre-K through eighth grade. 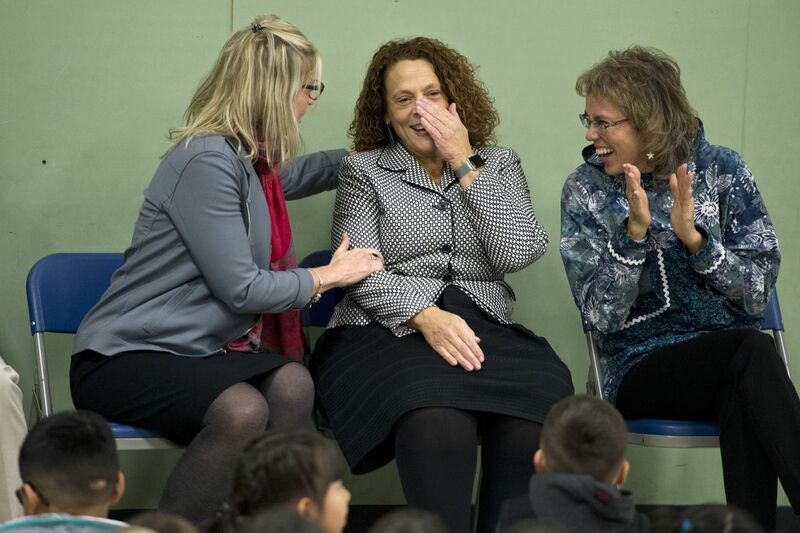 The 2019 National Teacher of the Year will be named this spring after in-person interviews. If Riha wins, she’ll spend the next year traveling the country to represent educators and advocate on behalf of teachers and students, according to the Council of Chief State School Officers. The National Teacher of the Year award program started in 1952. Since then, Alaska has had seven finalists for the national award, and one winner. Elaine Griffin, an elementary school teacher on Kodiak Island, was the 1995 National Teacher of the Year.